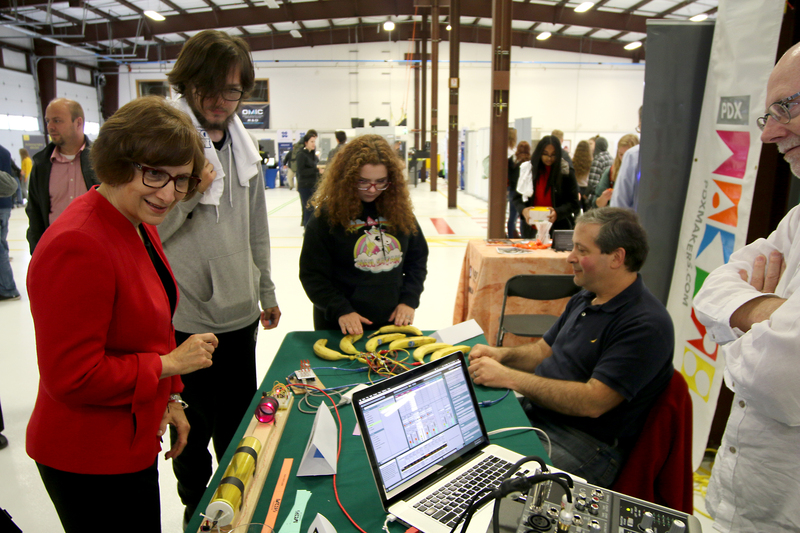 On Friday, Oct. 5, about 300 high school students from Columbia County enjoyed “Makers Gone Pro West,” an engaging and educational event hosted by regional industry, education and workforce development partners at the OMIC Research and Development Center in Scappoose. Autodesk, Blount, Daimler, Evraz, Letica, Madden Industrial Craftsmen, Northwest Oregon Works, Oregon Aero, Oregon Manufacturing Extension Partnership, Rightline, Silver Eagle and Sport Copter were on hand with interactive displays like 3D printers, laser cutters, robots and virtual welding booths. PCC is the education training partner for OMIC R&D. Team Bytesized is a robotics club featuring high school students from around Columbia County. They demonstrated a few of their robots delivering packages and shooting Wiffle balls. 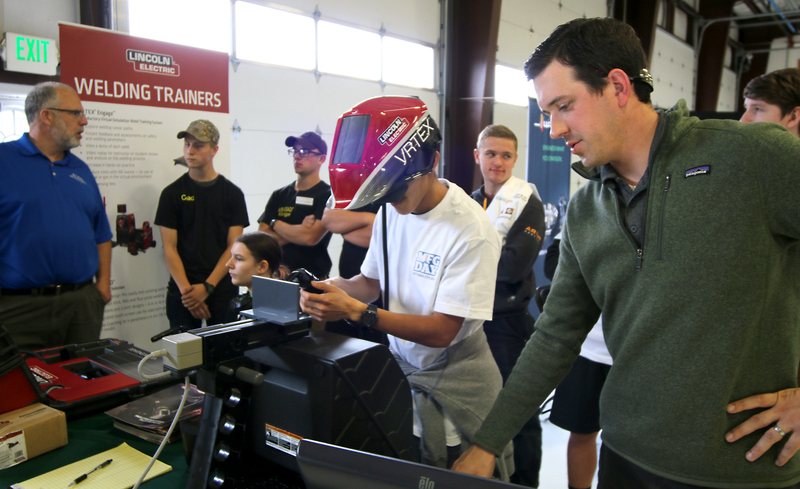 Lincoln Electric was a Makers Gone Pro West participant, showing off to students its virtual welding booth. 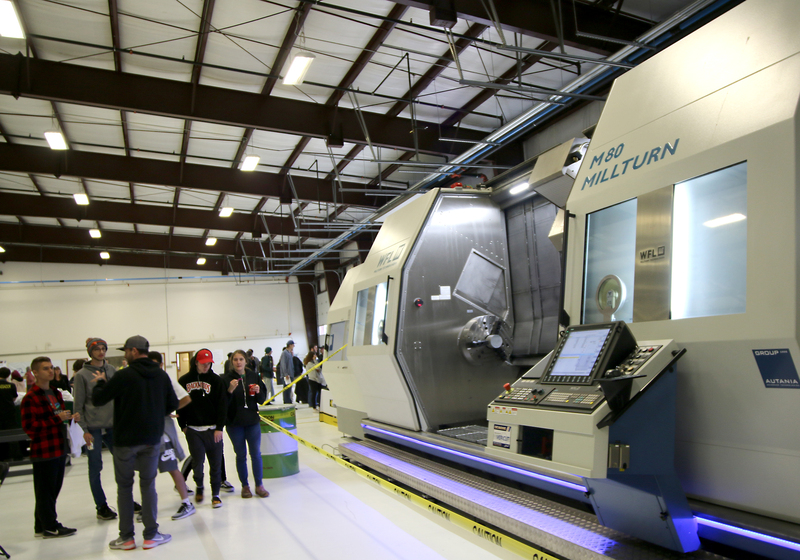 A giant automated millturn worked on machining projects on its own while students watched.